Did you know KORN was the builder of the Tour Jean Sans Peur in Paris? Neither did I. I thought they were a metal band. 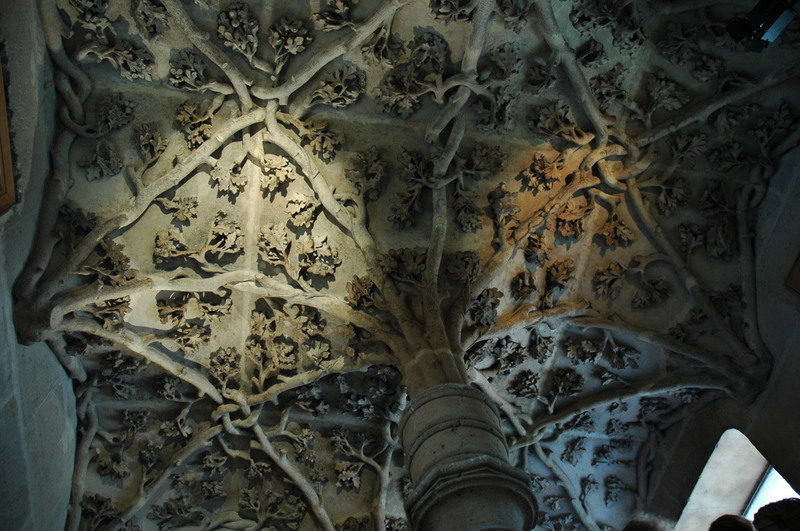 The Tour is part of medieval Paris, and there is not much left of that, so it's worth seeing. The foundations go back to the era of Philippe Auguste. Small, quick, not too many steps, you can get a guided tour in French daily and do the whole thing in about an hour. At the moment there does not appear to be much available in English, not even a brochure, but they are working on that. 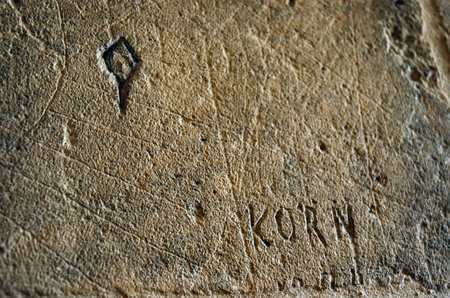 The stone cutters in those days would put their own individual mark on each stone they cut, like an artist's signature. 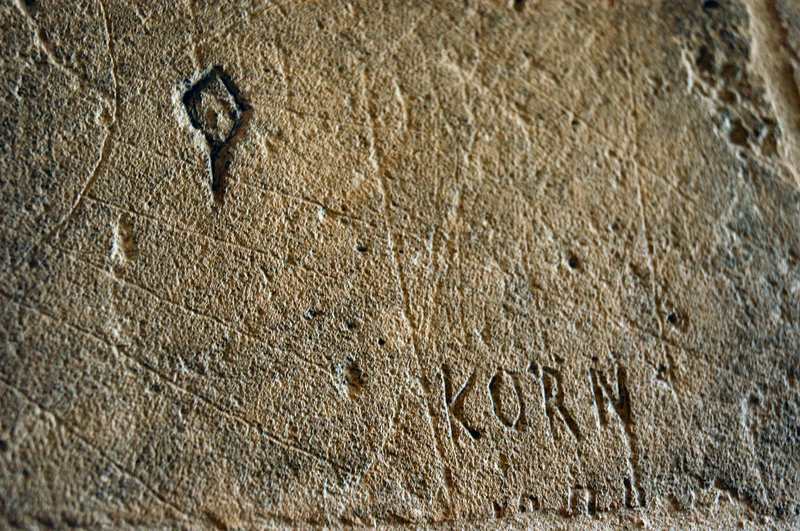 This stone cutter's mark (the one in the upper left) appeared on several huge blocks throughout the tower. Someone just happens to have decorated defaced this one a bit more recently. There was also this GORGEOUS carved ceiling in the staircase; absolutely stunning work.